The PC tech support, adult content and e-cigarette industries emerged among the top e-commerce merchant accounts sold by Instabill in the final quarter of 2015. The three industries made up for more than half of Instabill’s merchant account sales in Q4. Perhaps the oldest e-commerce industry, adult e-commerce continues to prove its staying power while online e-cigarette businesses persist in rivaling their traditional tobacco counterparts. Internet PC tech support businesses also continue to sprout, Instabill merchant account managers have found. Several other e-commerce industries sold well in Q4, including travel-related industries as well as marketing/advertising firms and magazine subscription companies. Instabill representatives also saw two new industry types for which we secured payment solutions: wedding photography and live auctions. Live Contact: Instabill merchant account managers value live contact. They always answer the phone. 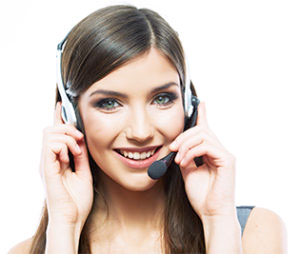 For those who wish to contact us via live chat, Instabill has that too. Consultants: The partnership does not end once a merchant cab process credit card transactions. Instabill representatives serve as consultants for the life of the merchant account. High Risk Specialists: Instabill partners with many banking partners worldwide to find e-commerce payment solutions. Multi-Currency: Instabill recognizes more than 160 currencies and enables merchants to make payouts and receive funds in their own familiar currency. Located in Portsmouth, N.H., USA, Instabill merchant account managers are available Monday-Friday from 8:00 a.m. until 6:00 p.m., US eastern time.